A printer’s printhead may be the most critical component to ensuring crisp, consistent and readable barcodes. Many times the reason prints are not sharp is due to a dirty printhead. BarcodesInc has partnered with IIMAK to provide ribbon with Clean Start. Ribbon including Clean Start allows the user to clean their printhead every time ribbon is changed. Cleaning the printhead on a regular cadence increases the longevity of the printhead. 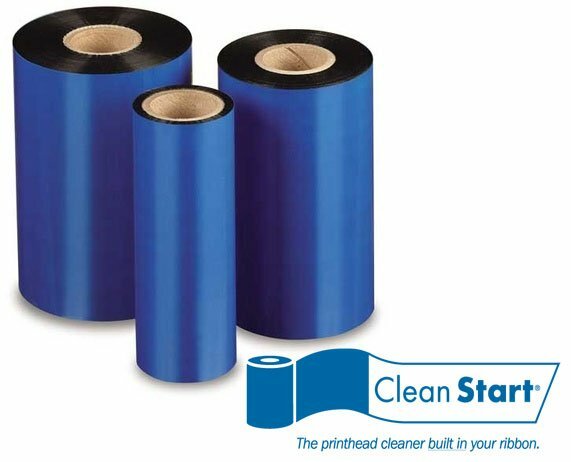 Clean Start provides hassle free printhead cleaning with 3 simple steps and only takes 6 seconds. Load the Clean Start Clean Start is built right into most BCI thermal transfer ribbons. Your printer’s printhead has just been cleaned. When using Clean Start, unnecessary interruptions caused by printhead failures, can be avoided. This results in less money and time being spent replacing printheads. Contact your knowledgeable BarcodesInc Account Manager for a FREE SAMPLE, of ribbon with Clean Start.